Likely as a consequence of being a critical educator and my own proclivities as a non-joiner skeptic, I remain mostly an outsider in the education reform debates—although I am a 30+-year educator and an established blogger/public voice on education. On Common Core (see here, here, and here) and Pearson monitoring (see here and here), I cannot be placed neatly into any major camp of the ongoing debates. And throughout my blogging and public work on education reform, I forefront race and racism as well as poverty—noting that addressing race in the U.S. immediately prompts both harsh reactions and stunning silence. As more context, I am regularly confronted as a union shill and union basher, depending on the detractor; although I am not now and have never been a member of a union, living and working my entire life in a right-to-work state, but simultaneously support unionism while acknowledging that organized unions (NEA and AFT) have mostly failed education. That same pattern occurs within politics since many assume I am a Democrat (I am not) and both partisan sides bristle at my equal-opportunity criticism of mainstream politicians’ failures related to education. None of this is intended as a pity party or a pat on my own back, but to note I am living, and thus witnessing from a privileged white/male vantage point, what I am concerned about in this post: Even—or notably among—good people with whom I consider myself in allegiance on educational goals, education activism for equity too often fails by slipping into the wrong allegiances (people and organizations) and not the ultimate goal, equity. Civil rights organizations with black leadership speaking out in favor of high-stakes testing and accountability. Blacks identified as supporting Common Core. Blacks associated with strong support for charter schools. To understand the racial divide in the education reform debate (why do blacks support many of the policies strongly rejected by a mostly white education reform counter-movement?) requires the same considerations necessary to unpack the often misguided Common Core and Pearson monitoring debates: Simplistic analysis of white and black support fails to confront the inherent problems with white privilege and fully expand the important contributions of minority voices. In other words, it is misleading to say that civil rights or minority populations embrace policy A or practice B as if those policies and practices have no goals attached to them. The support must be read as “We support X in order to accomplish Y”—and it is that Y which is vital to emphasize, educational and social equity for minorities and the impoverished. As the absence or presence of rigorous or national standards says nothing about equity, educational quality, or the provision of adequate educational services, there is no reason to expect CCSS or any other standards initiative to be an effective educational reform by itself. And that brings me back to my morning Twitter flurry. Education activism for equity must not succumb to mere missionary zeal, and certainly fails when people and organizations trump the goal of equity or when winning the debate destroys the actual reason for the debate. As I noted above, education activism for equity has failed in those ways—just as have the NEA, AFT, and Democrat Party (all of which I highlight since they are associated with being “liberal” and supposedly for both public education and economic/educational equity). And all of this is very disappointing and disheartening—just as being alienated and ignored among those with whom I have strong allegiances is very disappointing and disheartening. But again, this isn’t about me, although I do feel an obligation to bear witness to the failures among those I personally respect and publicly share ideologies—even when I disagree with them. And I have failed along the way to this post, often—and will likely fail again. But I stand by the Twitter flurry above, I stand by the unpopular positions I hold about Common Core and Pearson monitoring—despite the tensions those stands cause specific people and organizations, many of whom also pursue educational equity. Teaching and activism are compelling pursuits for me because they both demand that we rise above personal and organizational commitments, that we rise to our individual commitment to humanity: They are all our children. Teaching and activism require our humility, and a capacity for listening and learning, for admitting when we are wrong and moving forward. And in both roles, we risk ourselves in order to find ourselves and the world we imagine can and should be. * If you are an educator, I recommend this as a unit for students. Several years before I wrote an educational biography of Lou LaBrant for my doctoral dissertation, Jeanne Gerlach and Virginia Monseau published Missing Chapters: Ten Pioneering Women in NCTE and English Education for the National Council of Teachers of English (NCTE, 1991). Their important volume included a chapter on LaBrant by England and West, but the project also produced a recorded interview of LaBrant when she was 100, a gold mine for my biographical work. Jeanne and I became good friends because of our love of English teaching, history, and the people who have created that history. But one of our frequent conversations was about a claim by LaBrant in the interview: LaBrant was adamant that during her life that spanned the 1880s into the 1990s she had never once experienced sexism. LaBrant, Jeanne and I agreed, was so determined and assertive as a person that this claim was both a perfect example of who LaBrant was and completely unbelievable. So when I read Charles Blow’s Op-Ed on Clarence Thomas denying racism—in the 1960s and today—I thought of LaBrant. Thomas’s assertion about racism reminds me of LaBrant’s about sexism, but it also strikes a cord about the pervasive responses I receive to much of my public writing about race, class, and poverty. Two comments recur: (1) Why does it always have to be about race?, and (2) I agree with most of what you’re saying, but I think the problem is class, not race. The first comment tends to prompt me to want to say, Why is it never about race? But I suspect people who offer that first response are unlikely to listen to anything. Thus, it is the second response where I believe raising a few questions has the potential for helping people who deny racism today see that they have a serious evidence problem. One thing that I will submit, however, is that the emphasis must shift from discussions of interpersonal racism — which I would argue are waning as they become more socially unacceptable — to systemic and institutional biases, which remain stubbornly infused throughout the culture. Interpersonal incidents of racism are easy to identify and condemn, particularly as their prevalence dwindles. We do hear too much about these at the expense of discussions about the systemic and institutional biases that are harder to see — it’s the old “can’t see the forest for the trees” problem — and that rarely have individual authors. This bias is obscured by anecdote but quite visible in the data sets. The evidence, I acknowledge, supports Blow’s assertion that “interpersonal racism” is “waning” but that “systemic and institutional” racism remains powerful and must be confronted. My caveat to waning interpersonal racism is that overt racism certainly suffers much greater public scorn than in the fairly recent past, but as the Richard Sherman “thug” incident (and the Michael Dunn shooting of Jordan Davis prompted by “thug music”) shows, racism on the interpersonal level still persists beneath more socially accepted codes. Systemic and institutional racism, however, poses a greater evidence problem for racism deniers. Please read Michelle Alexander’s The New Jim Crow. Why are African Americans arrested and incarcerated for drug use at rates much higher than whites, even though African Americans and whites use drugs at similar rates? Why do police target African American neighborhoods for drug sweeps, and not college dorms? 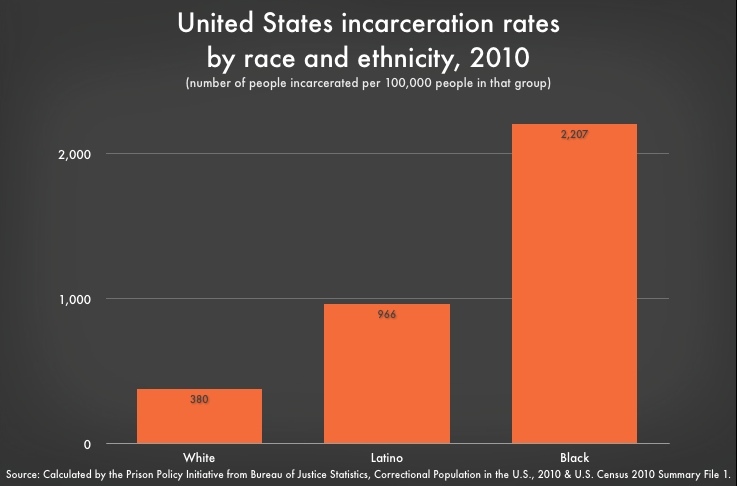 Please examine the prison incarceration data by race. White males outnumber African American males in the U.S. about 6 to 1, but per 100,000 people in each racial group, 2207 African Americans to 380 whites (nearly an inverse proportion of 6 to 1) constitute that prison population (2010 data). Since there are also more whites in poverty than African Americans (about 2 to 1, 2011-2012 data), what accounts for the inequity of these numbers by race? If incarceration is a function of class and not race, the prison population should be about 2 whites to 1 African American. Please examine data on discipline rates, access to courses and teachers, and retention rates in U.S. schools; for example, “African-American students represent 18% of students in the CRDC sample, but 35% of students suspended once, 46% of those suspended more than once, and 39% of students expelled.” Why such inequity by race in schools, inequities that foreshadow the incarceration inequities? Are issues related to race different in 2014 when compared to the 1960s? Yes, in many ways, some of the more overt aspects of blatant racism have been confronted—although the consequences of that development have also masked racism—and racism no longer finds refuge in statutes. 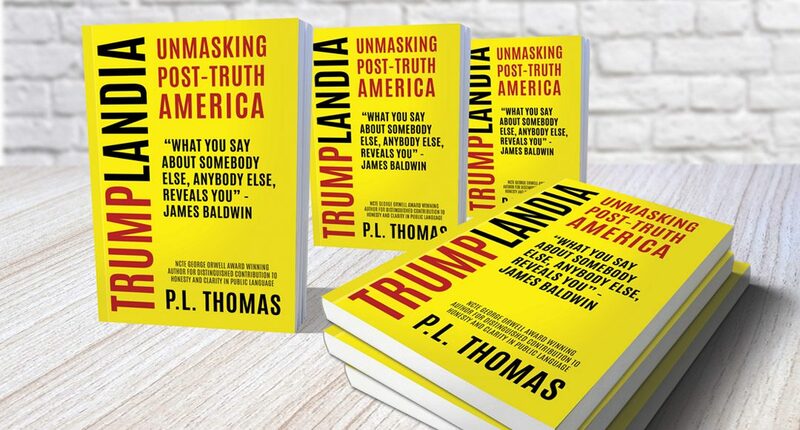 To answer the questions above is to confront the evidence and then to offer answers that I suspect racism deniers simply do not want to admit—despite the inevitable conclusion that racism remains a powerful marker for inequitable consequences throughout society and within institutions. To that I add, denying racism does not end it, but that denial obscures it as well. Saying something doesn’t exist will not make that true; it is a sort of word magic that reinforces the unacknowledged status quo. The evidence shows systemic and institutional racism persists and is powerful. To end racism, we must first name it. If we cannot even name the reality we claim we want to change, then we will never change that reality. Knowledge Is Power Program (KIPP) charters are racist. Let me try once again to clarify both that these claims are true and necessary to name in order to change. “Poverty is destiny” is a normative  fact of the United States. For most children, the social class they are born into predicts the trajectory of their lives, independent of their self-worth, effort, and all sorts of other factors we are more likely to associate with the individual child. Michelle Alexander has embodied the need to name in order to change by confronting the normative facts of mass incarceration as well as the indisputable fact that mass incarceration is the New Jim Crow, thus racist. Here’s a fact that may not surprise you: the children of the rich perform better in school, on average, than children from middle-class or poor families. Students growing up in richer families have better grades and higher standardized test scores, on average, than poorer students; they also have higher rates of participation in extracurricular activities and school leadership positions, higher graduation rates and higher rates of college enrollment and completion…. In the 1980s, on an 800-point SAT-type test scale, the average difference in test scores between two such children would have been about 90 points; today it is 125 points. This is almost twice as large as the 70-point test score gap between white and black children. Family income is now a better predictor of children’s success in school than race…. We are still talking about this despite decades of clucking about the crisis in American education and wave after wave of school reform.Whatever we’ve been doing in our schools, it hasn’t reduced educational inequality between children from upper- and lower-income families…. The income gap in academic achievement is not growing because the test scores of poor students are dropping or because our schools are in decline…. It may seem counterintuitive, but schools don’t seem to produce much of the disparity in test scores between high- and low-income students. We know this because children from rich and poor families score very differently on school readiness tests when they enter kindergarten, and this gap grows by less than 10 percent between kindergarten and high school. There is some evidence that achievement gaps between high- and low-income students actually narrow during the nine-month school year, but they widen again in the summer months…. Alexander and Reardon are naming normative facts—ones that many all along the ideological spectrum not only refuse to do themselves, but rush to silence others who do name in order to change. If the patterns of mass incarceration and “no excuses”/”zero tolerance” schools and policies even impacted privileged white males proportionately in the U.S., the outcry would be deafening. The current and historical racially disproportionate and negative patterns of the U.S. penal and judicial systems and the rise of highly segregated “no excuses” charter schools and “zero tolerance” urban public schools must be named and then we must act t change that which is racist, that which is classist, that which is sexist. Refusing to name, refusing to act guarantees poverty will remain destiny and the current education reform movement will continue to mirror the New Jim Crow of mass incarceration. “Normative” is being expressed as “typical,” that which can fairly be called “normal” in the sense of mode and/or more than half of a population exists in that condition. This starts with caveats and clarifications so please be patient. I am white, male, and heterosexual—by the coincidences of my birth, many of my defining characteristics place me in the norm of my culture and combine to bestow upon me through no merit on my part a great deal of privilege. Below, then, I am making no claim that the closets I have suffered and that others suffer share some sort of ultimate equivalence even though they share the crippling power of fear. I remain deeply angered at the scars of racism, sexism, and homophobia that linger in my country that claims to be a beacon of life, liberty, and the pursuit of happiness. I remain deeply angered at the scar of poverty that flourishes in that same country wrapping its crass consumerism and capitalism in the flag in order to continue to ignore inequity. But as a privileged person, I too understand the weight of the closet and the paralysis of fear so I am venturing into this not as a pity party, not as navel gazing, and not to make some grand claim that I know what it is like to be the daily victim of racism, sexism, or homophobia, what it is like to be homeless or hungry. This, however, is a place to offer a few words about the intersections that may at first not seem like intersections at all: Jason Collins coming out of the closet, the Boston Marathon bombing, Common Core State Standards (CCSS), Knowledge Is Power Program (KIPP) and other “no excuses” schools. “Stones can make people docile and knowable,” writes Foucault . “The old simple schema of confinement and enclosure—thick walls, a heavy gate that prevent entering or leaving—began to be replaced by the calculation of openings, of filled and empty spaces, passages and transparencies” (p. 190). Here, Foucault is being literal, confronting the culture of control that is housed in social institutions such as hospitals, prisons, and schools. But I want to consider the enclosure of the metaphorical closet before coming back to the role of the brick-and-mortar school below. My privilege built on gender, race, and sexuality (all elements of my being I have not chosen, but essentials of whom I am) has contributed to my existential angst of coming to recognize throughout my life the equally important aspects of my Self that are distinctly outside cultural norms. In my late 30s, I began to experience panic attacks, notably ones not directly associated with an event but attacks that were, as best as I can describe them, the manifestation of a war with myself. The attacks came upon me any time I tried to sleep, relax, and this was when my Normal Self let down the guard enough for the real and true me to begin to fight for the surface. Again, I don’t want to belabor my personal struggles, but I do want to emphasize that the human condition is fraught with closets of many kinds that are joined by fear. My closeting has always been an existential one: I have never felt the sort of normal response to religion that others appear to embrace (a powerful closeting condition in the South), but even more profoundly, I recognize my worldview as completely out of kilter with almost all other humans. It has created for me an often overwhelming sense of alienation. What often is left unspoken is that it is in the moments of conflict between who we truly are and who we are expected to be that we feel self-conscious, we imagine that all eyes are on us, judging us, recognizing us for who we truly are in order to banish us from the community. For me, it is the never-ending ritual of “Let us pray…” or that split second when someone says something and everyone else nods in agreement while I calculate the damage that would be done if I said my piece. Both of these seem trivial to me in the text I just typed, but the cumulative effect of this daily, I think, must not be discounted—particularly as it occurred in my childhood and youth. Closets exist because humans come to recognize two forces—who we truly are and who the World around us demands that we be. If who we truly are doesn’t match the demand, we often gather the stones to build our closets because above all else we are afraid of not being accepted, not being loved, not being cherished for who we truly are. The closet, then, is a place to hide, how not to be seen. However, the human condition involves a drive not only to be seen, but also to be accepted, embraced. This has been profoundly demonstrated in Jason Collin’s own words about his motivation for confronting his sexuality within the exponentially judgmental worlds of social and athletic homophobia and normative expectations for being fully a man. This tension between being seen and not being seen is at the center of Foucault’s culture of control: “This infinitely scrupulous concern with surveillance is expressed in the architecture by innumerable mechanisms….The perfect disciplinary apparatus would make it possible for a single gaze to see everything constantly” (p. 191). Constant surveillance, then, achieves two ends: The power and coercion of normalizing (control, obedience), and the creation of anxiety, fear, where neither are warranted: “The perpetual penality that traverses all points and supervises every instant in the disciplinary institutions compares, differentiates, hierarchizes, homogenizes, excludes. In short, it normalizes” (p. 195). The existential angst within the human condition, made more pronounced from within our many closets, confronts the concrete structures recognized by Foucault—hospitals, schools, prisons—but also now confronts a pervasive surveillance that was identified and then normalized itself because of the Boston Marathon bombing—the Brave New World of constant surveillance through smart phones, ubiquitous surveillance cameras, and the interconnectivity afforded through the Internet. The normalizing came in the form of repeated comments from political leaders, law enforcement, and the media that the constant surveillance has now shown itself as essential for our safety—from the (criminal) Other, our mechanisms for the middle-class cocoon. “Similarly,” Foucault explains, “the school building was to be a mechanism for training” (p. 190). 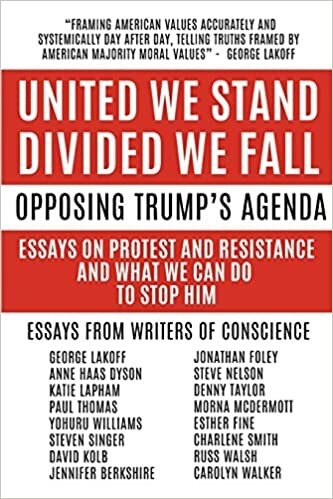 And now the intersections among closeted existences, fear, constant surveillance and the Boston Marathon bombing, and the “age of infinite examination” that is education reform built on accountability, standards, and high-stakes testing. “The disciplinary mechanisms,” Foucault explains, “secreted a ‘penalty of the norm,’ which is irreductible in its principles and functioning to the traditional penalty of the law” (p. 196). Carr and Nolan, in her ethnography of zero tolerance policies in urban high schools , shine a light on how schools and the penal system have merged in the U.S. for “other people’s children”—creating both a school-to-prison pipeline and schools as prisons. As well, Deleuze recognizes education is in a contant state of crisis, reform, and standardization, within which schools, teachers, and students can never finish. Our Brave New World of standardization and “infinite examination” is one of international rankings, school rankings, teacher rankings, and student rankings—all of which assure that virtually everyone cannot possibly measure up; number two is perpetually the first loser. A culture of control is the antithesis of a community. A culture of control uses the normative gaze to breed conformity and to excise the Different from the herd. A community reaches out, lends a hand, opens arms. A community is an invitation to the recognition of the humanity that joins all people despite the diversity among us individually. Many closets, one fear—this should speak to our hearts in a way that moves us beyond cultures and societies of control and toward a community. We should also come to see that our culture of control is built upon and perpetuated by a dehumanizing education mechanism grounded in surveillance and fear. Just as fear is the wrong motivation for embracing the perpetual surveillance created by smart phones, cameras on every street corner, and the Internet, fear is the wrong motivation for how we build our schools. Ultimately, KIPP and other “no excuses” charter schools, CCSS, and the perpetual churn of education reform are the consequences of fear. Ceaseless school reform is irrational and heartless; it is building closets from the stones of test scores. Ceaseless school reform creates schools and a society in which we all must find ways not to be seen, fearful if we take the risk to stand as our true selves in that open field we too will be shot down like a punch line in a comedy sketch. Foucault, M. (1984). The Foucault reader. Ed. P. Rabinow. New York: Pantheon Books. See “The means of correct training” from Discipline and punish. Carr, S. (2013). Hope against hope: Three schools, one city, and the struggle to educate America’s children. New York, NY: Bloomsbury Press. Nolan, K. (2011). Police in the hallways: Discipline in an urban high school. Minneapolis, MN: University of Minnesota Press. Baldwin, J. (1998). James Baldwin: Collected essays. New York, NY: The Library of America. Originally published in 1972, No Name in the Street.